Striker Bowling Solutions is a leading partner and supplier to the Canadian bowling industry and the exclusive Capital Agent for Brunswick Bowling in Canada. Whether you’re interested in building a new bowling centre, modernizing your existing centre, or looking for parts and services to maintain your centre, we have the expertise and experience to help you. 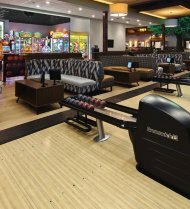 We’ve been involved in over 400 projects, from simple equipment replacements, to the construction of the newest bowling entertainment facilities in the country. 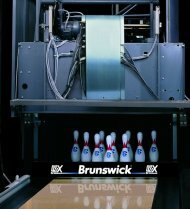 Our affiliation with Brunswick, the largest bowling manufacturer in the world, allows us to provide unmatched insight into the changes that are ever-present in today’s bowling industry. We will use our expertise to make your lives easier. We will improve your competitive advantage. We will lower your investment risk. We will strive to increase your profitability. We will empower you with information to allow you to make informed business decisions. As the only Brunswick Electronic Repair Depot in Canada, we provide fast, flexible, economical repairs. Access the latest installation instructions, service manuals, planning guides and more. Having never used software from Brunswick before, we had a lot of apprehension before the implementation of Sync in the middle of our busiest season. The highly efficient and professional installation team, technical support staff both on-site and by phone has made the transition simple and fast, well beyond our expectations. This free guide provides a checklist for you to discuss with your architect and building contractor and will help you anticipate your current and future needs, as well as create the most efficient design possible. 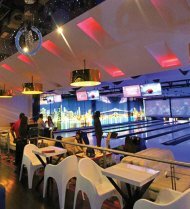 There are four primary bowling alley business models: the Boutique, the Family Entertainment Centre, the Hybrid, and the Traditional Bowling Centre. We can help you decide which is right for you. © Copyright - Striker Bowling Solutions Inc.